Great Lent is upon us, and on its threshold it would be good for the Christian to think about how he should spend the time of Great Lent, and above all, how he should observe the fast and follow the church rules. We need to keep in mind that on one hand, whenever the rules on fasting are mentioned in the church books, they seem to be intended for monasteries. Yet we know that the great ascetics and fasters observed the fast much more strictly than the church rules call for. Yesterday, on the last Saturday before Great Lent, the Church commemorated all those ascetics who lived their lives in extremely strict abstinence. They include St. Anthony the Great, St. Macarius the Great, St. Theodosius the Great, St. Pimen the Great, St. Euthymius the Great, and others. All of them were ascetics who, I repeat, fasted much more strictly than the church rules call for. Of course, by pointing them out to us, the Church does not require that we imitate them to the same extent. First of all, they had a completely different way of life. They were recluses or, at any rate, desert-dwellers. Their amazing accounts are contained in the Lives of Saints. For example, St. Paisius the Great seems to have set a record among them. Except for the Holy Gifts, he took no food for two forty-day periods in a row, that is, for eighty days straight. Nonetheless, he was so full of strength, not only spiritual but physical as well, that he was able to observe all the rules and fulfill all his duties as a monk even while fasting. Many saints fasted for forty days, imitating the Lord Jesus Christ Himself, while those who fasted for one week at a time took food only at the end of the week. There were many who did likewise, and also in Russia. But, I repeat, the Church does not at all require that we do the same. The Church sets forth rules for fasting. If those saints could fast like that, the requirements in our service books are more or less within reach of everyone. Of course, when a person really is not capable, he is not required to follow the fasting rules strictly, because the point is for a person to restrain to some degree his passionate, capricious, and lustful flesh, and humble it, dealing with it firmly and subjugating it to his spirit. Fasting is necessary to humble one’s sinful fleshly nature, but if a person is sick, such measures are not required of him as of a healthy person, because fasting accomplishes that which in his case is brought about by his illness that has weakened his nature. A strict fast is not required of someone who is infirm and feeble, someone who is already fighting or is threatened by illness. Just remember that if a person cannot fast strictly and it is lent, let him just observe the fast to the extent that he is able, so as not to weaken himself further, for he is already weak. However, during lent he should definitely abstain from something he really likes, whether it be food or something else. Let him exercise restraint in some way or another to make up for his not fasting from food, for it is during Great Lent that he should abstain from anything else he really likes that has become habitual and could possibly turn into a passion. We must remember that a person’s will is weak when he relies solely on himself. But when he relies on God’s help, and, realizing his weakness, asks the Lord for help, the result is completely different. I knew one lady, already getting on in years, who for forty years smoked non-stop, like a chimney. She was told that St. Seraphim would help people with such an addiction. And a real miracle took place. 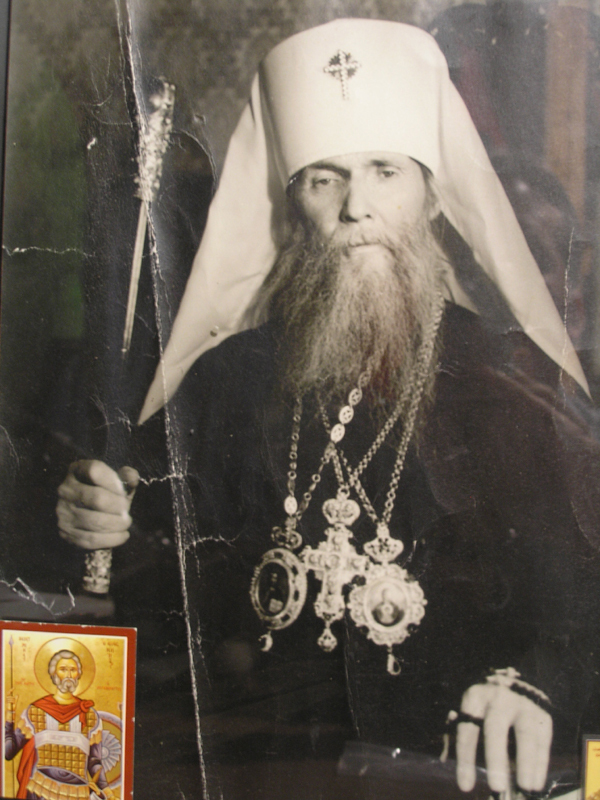 Here was a woman who could not do without a cigarette for even half an hour, and, as she later told me herself, she went to the icon of St. Seraphim and with great faith asked him, “Batiushka Father Seraphim, you know that I do want to give up this bad habit. Help me to give up smoking!” And, as she said, she never again wanted a cigarette. This shows that when a person turns to the Lord and to His saints with such wholehearted faith, God’s help will come WITHOUT FAIL! We have to remember this! Lent is the time when a person needs to think about his life and about his soul, and strive to somehow cleanse it from all kinds of sinful pollution and purify it. Indeed, we have to spend the time of Great Lent not just going to confession and receiving Holy Communion as a formality, then going back to the same sins, but really thinking about our life, evaluating it according to the holy and rigorous commandments of the Gospel, and striving to somehow improve ourselves during these holy days. And we need to ask the Lord for help that we may somehow manage to keep controlling ourselves, so that whatever we may have accomplished would not disappear without a trace, as it often happens when Lent is over, but that it would all remain secure in our souls as a spiritual acquisition. As Lent begins, we should all ask the Lord to help us make good use of this time. The holy fathers liked to say that for good reason, in our northern hemisphere, lent always occurs in the springtime. Spring is the time for sowing, and now, good seeds are sown so that we can enjoy the fruits thereof for the whole year. We need to think of this spiritual spring as the time to sow good seeds in our hearts so that they will, with God’s help, yield good and lasting fruit. Amen.